Lodging While On Tour - What Are Your Options? 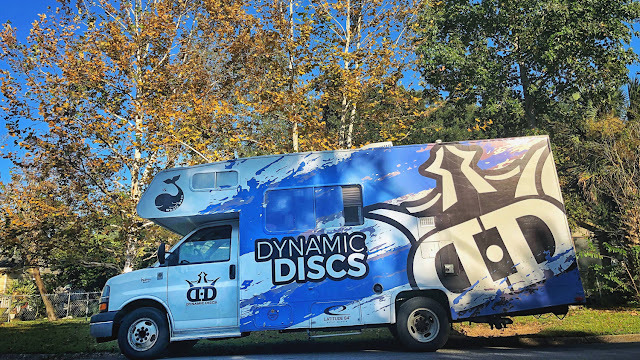 Whether you’re taking a few months off from disc golf or you’re going strong through the winter season, there’s no denying that some of 2019’s biggest events are literally just around the corner. Many of the sport’s top players are already registered for The Las Vegas Challenge, and much of the housing in Emporia is already filled up for next year’s GBO. For those who are just now trying to plan their tour for next year, how do you know where to stay, what prices you should be looking for, and how to navigate this part of your tour in general? We’re here to help, so let’s check out the many ways you can approach lodging while on tour. You may not see it as a popular option, but believe it or not, there are tons of hotels, motels, and Airbnb’s across the nation. Some of them are more stripped down and practically only offer a bed and a roof over your head, while others like an Airbnb have a full kitchen, backyard, and more. The tricky thing about utilizing these options comes with price and availability. If you’re going to be on tour for several months and plan on this type of lodging the entire time, your bank account is going to be drained fairly quickly. Even the cheapest motel rooms may be up to $50 per night, so when you multiply that by 60 or 90 days on the road, you’ll end up spending a small fortune. Many players opt to share a larger Airbnb and split the cost which can certainly help, but for larger events across the nation, homeowners sometimes inflate their prices intentionally because they know the demand will be so high. The summer months do offer some reprieve as many players look to campsites as their place to stay. Again this does come at a cost, not only to rent your spot for the night but will include an initial investment of gear if you don’t already have it. While you may be able to feel more in touch with nature, camping while on tour can get old and of course is completely reliant on the weather. If you want to opt for the cheapest option around, crashing on the floor or couch of other disc golfers is the way to go. Obviously, this won’t always be possible, especially if you’re staying in a town where you don’t know anyone, and sleeping on something that’s not a bed will start to affect your body after a while. We’ve seen our fair share of players opt for van or RV life as of late, and while this is probably the best touring option when it comes to lodging, when was the last time you had the money to finance or even rent this large of a vehicle? Again, you may think about pitching in with friends to offset the costs, but remember that there’s not as much room inside of those vehicles as you may think. We want to hear from you - how do you approach your lodging plans during tour? What tricks or tips have you uncovered to make it more affordable? Let us know in the comments below! Lot of Pros are hosted by local disc golf families too. I'll be camping most events this year. If I can drive to it, I'll bring a tent. have you heard of couch surfing websites? where you come stay on someone's couch? I heard about it on a podcast never tried it.